Dr. Brett Martin has been practicing dentistry in Austin, TX, since 2014, after graduating from A. T. Still University of Dental and Oral Health. 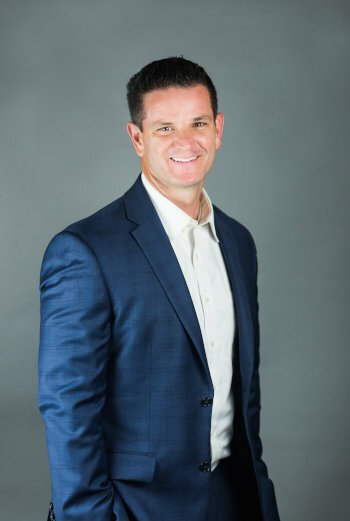 He recently sold his successful Texas practice, and has decided to come back to Arizona so that he can help you and your family get the dental care you deserve. He has dedicated his life to learning as much as possible about his craft and spreading the benefits of those skills far and wide. Just last summer, he visited Lisbon, Portugal, on multiple occasions, in order to become comprehensively trained in both denture implants and zygomatic implants. Dr. Martin has also spent quite a lot of time and effort in making his dental skills available to people all over the world. In Honduras, there are two operating clinics—one in Tegucigalpa and one in San Pedro Sul—that he was instrumental in founding. He has also generously donated his time and skill during six different dental service assignments. Within the dental industry, he specializes in several kinds of surgery, as well as in cosmetic procedures. His number one goal is to help patients get, keep, and love their ideal smile. Prior to discovering his passion for dentistry, Dr. Martin was a custom home builder and owned a concrete company for 7 years. He has always appreciated good, old-fashioned physical work. He learned this appreciation both as a religious missionary in British Columbia and while growing up as the fifth of seven kids on a ranch in Ogden, Utah. Many of his favorite hobbies are just as outdoorsy. Dr. Martin loves golf, working out, and football. In fact, he loves football so much that he even coaches teams for his kids. Together with his family of four kids, he snowboards, scuba dives, watches movies, and eats fresh, warm cookies straight from the oven.